Background: Recent studies document EWL >50% for the laparoscopic adjustable gastric band (LAGB). 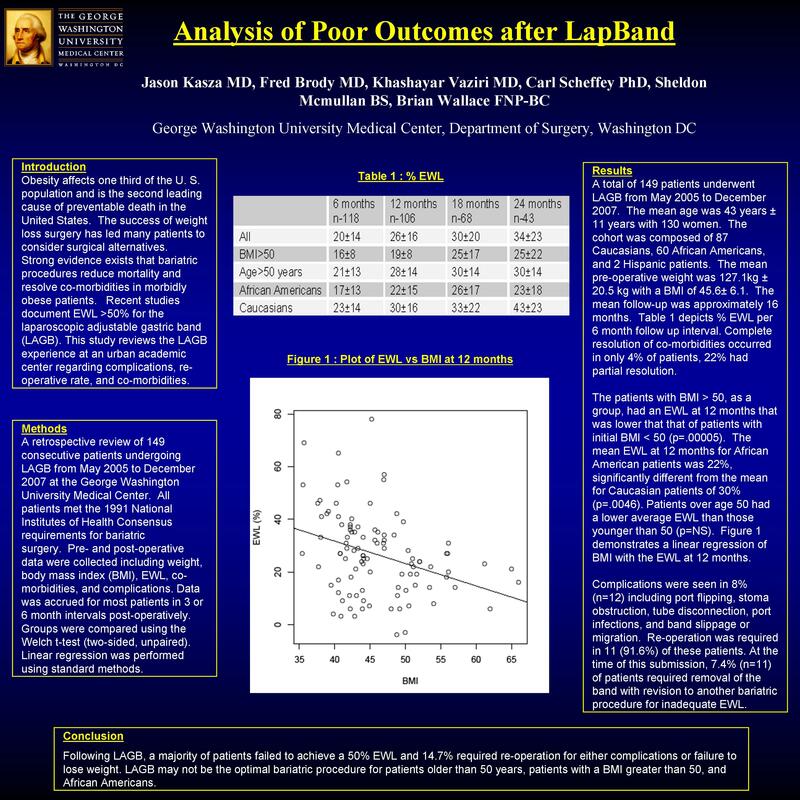 This study reviews the LAGB experience at an urban academic center regarding complications, re-operative rate, and co-morbidities. Methods: 146 consecutive patients undergoing LAGB from August 2005 to December 2007 were reviewed. Pre and postoperative data were collected including weight, BMI, EWL, co-morbidities, and complications. Multiple patient demographics were analyzed using a t-test. Conclusion: Following LAGB, a majority of patients failed to achieve a 50% EWL and 10.3% required re-operation. Our data shows that patients older than 45 years and African Americans may not benefit from LAGB.